It’s easy to forget what a turning point House of M was for Marvel as we know it. Prior to House of M, the last crossover that spanned the entire Marvel Universe was Maximum Security, and not only did that last just one month, but it also had no real lasting impact on the shared universe. House of M was Marvel’s first attempt at returning to a continuity heavy, shared universe, after years spent telling more self-contained, individual stories in hopes of bringing back its fans. The Ultimate line, Marvel Knights, even Grant Morrison’s New X-Men, it was all meant to offer new visions of the Marvel U accessible to anyone. But once you rebuild that audience, what do you do with them? Marvel decided to try to dig the hook in even deeper with a good old fashion event. I suppose you could add 5) Give Wolverine his memories back, but it strikes me that this was a byproduct of the story and not necessarily the goal. We would like to talk to you about Sparkle Motion. For those who might not remember, House of M was the result of the suddenly god-like Scarlet Witch using her powers to alter reality, and make it so that not only were mutants the dominant race in the world, but that Magneto and his family were in charge of everything. Wolverine is the only superhero to remember what the world used to be like and he, with the help of a brand new character named Layla Miller, go about enlightening more superheroes until they can try to stop the Scarlet Witch. The kicker to all of this is that they think she’s doing this at her dad’s bidding (her dad being Magneto, at least back then). The reality is that it was her brother, Quicksilver, that made this all happen. In the end the Scarlet Witch decides that all of her problems were caused by mutants, so she utters “no more mutants” just as the world reverts back to normal, and thus the majority of mutants in the world are de-powered. 1) Both the Astonishing X-Men and the New Avengers are given top billing for this series, and the characters featured in the story are predominantly members of those teams. Was there anyone buying this book that wasn’t already buying both Astonishing X-Men and New Avengers? Doubtful, but they got the spotlight nonetheless. 2) I suppose you could say the issue of the Scarlet Witch was addressed, but it wasn’t remotely resolved, and wouldn’t be for years. She became Bendis’ escape hatch, really. 3) Check, exciting alternate reality created, although I remember all the interviews for this book proclaiming that it wasn’t an alternate reality, even though that’s exactly what it was. 4) Here’s the kicker. Here’s the thorn in my side: the reversal of perhaps one of the most fertile, yet never fully realized, ideas to hit the X-books in years. In May of 2001, Grant Morrison began his run as writer of “New X-Men” and ostensibly as the architect of the mutant corner of the Marvel universe. One of the things Morrison incorporated in his three year run was the idea that mutants were an actual minority in the Marvel universe and mutant culture was born. We were introduced to mutant music and famous mutant clothing designers. Mutants formed their own neighborhood in New York City. They formed corporations and non-profit groups to help other mutants. This was the central metaphor of the X-Men fully realized. And even more ideas came from it. We got a decent “Morlocks” series by some guy named Geoff Johns which featured some wonderful art by Shawn Martinbrough. 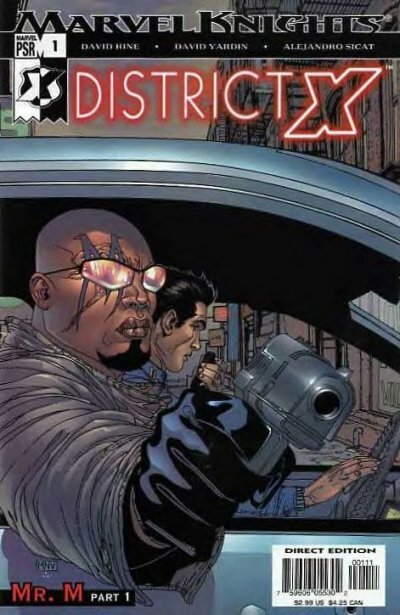 It featured a group of Morlocks living in Chicago and suggested there were more groups like this all over the country, a concept rife with potential. Looks like a Vertigo book, doesn’t it? 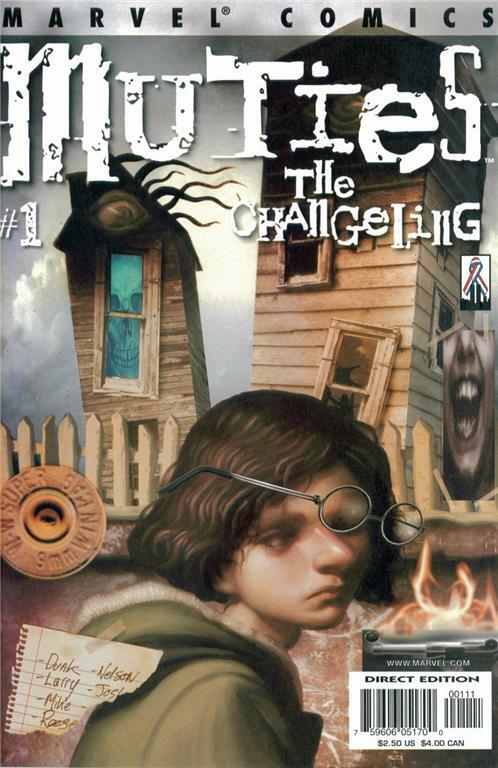 There was a great series called “Muties,” written by Karl Bollers with a different artist for each of the six issues. 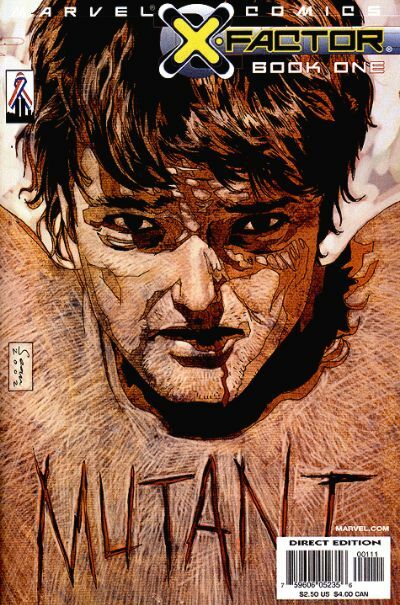 It chronicled the unique experiences of a different mutant from a different corner of the world in each issue. We got to see a wider diversity of characters than we’d ever seen in the X-books over just six issues. We met the Mutant Civil Rights Task Force which investigated hate crimes against mutants. Jeff Jensen appropriated the then abandoned “X-Factor” title for the series, which featured some absolutely fantastic art from Arthur Ranson. 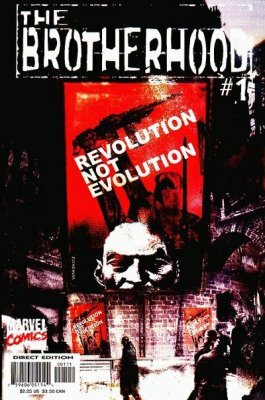 There was “The Brotherhood,” featuring a more modern day version of a so-called “extremist” group, written by the mysterious “X” (later proven to be Howard Mackie) and drawn, across its 9 issues, by some of the best talent in comics: Esad Ribic, Leonardo Manco, Joe Bennett, and Sean Phillips. 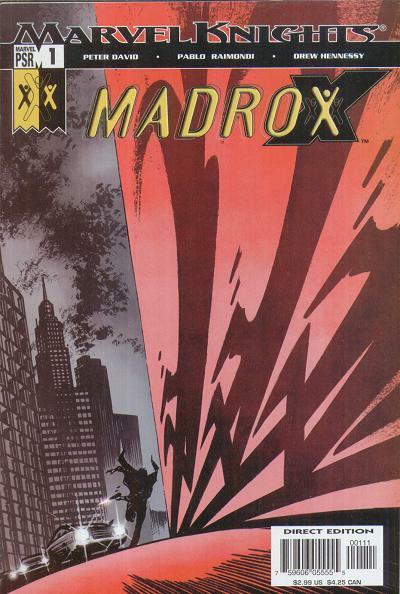 The big one, though, was probably “Madrox,” a limited series written by Peter David and drawn by Pablo Raimondi. Madrox sets up shop as a private investigator in Mutant Town, a wonderful idea and suggestive of the other types of great stories that could have come out of Mutant Town. Madrox taking on the unusual cases that came with working in a neighborhood comprised primarily of mutants seemed like the kind of idea that would have limitless story potential, and the series did well enough to launch a new “X-Factor” series with Madrox as the lead. …the aforementioned stupid thing happened, and when the first issue of the new “X-Factor” series arrived, it had already lost a lot of its appeal. That’s not to say it wasn’t a good series, it was, but a book about a private investigations agency that specializes in mutant mysteries becomes a bit of an odd duck when there aren’t any mutants left. A book set in Mutant Town isn’t quite the same when Mutant Town no longer exists. All of the above were wiped away (or drastically altered) because Marvel thought they had too many mutants…? And that is a question. Could you imagine them killing off the Avengers? These are valuable IPs, you know. House M actually begin in the pages of Excaliber. Conveniently enough, when Wanda whispered “no more mutants,” her completely random, undefinable powers didn’t impact any of the more popular mutants in the X-world. And even the ones that did lose their powers, like Magneto, managed to get them back. But for some reason, someone at Marvel believed that “minority” meant “only 198 left,” which is less a metaphor for human beings and more a metaphor for black rhinos. As you would expect, in the 10 years since House of M, creators at Marvel have found ways to increase the number of mutants in the world. Not only that, but the line is no longer cut off, so new mutant births are actually happening again. You can imagine that it’s only a matter of time before an entire city full of mutants is somehow pulled out of the time stream, allowed to age for two or three decades, then returned, thus giving us a whole new batch of mutants. So aside from ruining what could have potentially been one of the great eras in the history of the X-Men (although, side note: the post-Decimation period for the core X-books was surprisingly good, but that was entirely due to the talent involved), did House of M have any lasting impact on the Marvel U? Yes. It turned it back into an event driven line of comics. 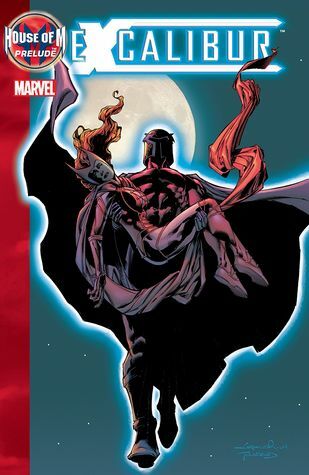 House of M wasn’t just a series or even just a crossover, Marvel actually published additional mini-series that were in some way connected to the main book; they published NEW titles to go along with it. And those books old, they sold like hot cakes, they sold like they were somehow important to the main story even though they weren’t. And the light bulbs started going off all over the place. The overall quality of these extra series is debatable, although the Spider-man series is far more interesting than anything that happens in House of M proper. 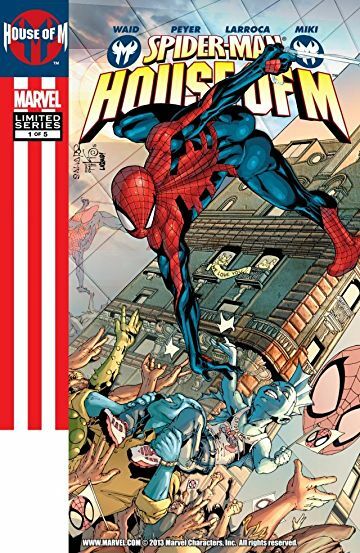 In fact, if you’re looking to check out the event, I would point you towards the Spider-man book and the main book as the only ones you really need, the former because it’s good, the latter because it covers all the plot points. Civil War is arguably what modern Marvel was built on. That event/crossover started a chain reaction of events and crossovers that is still going today (regardless of what Marvel might claim). Civil War was an event that set up another event that set up another event and so on and so forth. Because after the crazy success of House of M, Marvel was all in. And while House of M was meant to be a story combining the top two Marvel titles of the time, it ended up being a passing of the torch, as the X-books slowly became insulate from the Marvel U and the Avengers titles got top billing. Post-bankruptcy Marvel was crazy, exciting company who produced a bunch of ridiculous comics that would never get published today. But they had no choice, They were throwing everything they could think of against the wall in hopes that something would stick. Unfortunately, it was event comics. House of M represented the rebirth of the Marvel that we’d known, the juggernaut of superhero comics that had recently fallen on hard times, but was back and ready to fill quarter boxes around the country. Marvel would be so successful that DC would soon try to copy them, as DC generally does. It would not be overstating it to say that House of M changed the superhero landscape and created the monster we now see every week at our local comics’ shop.